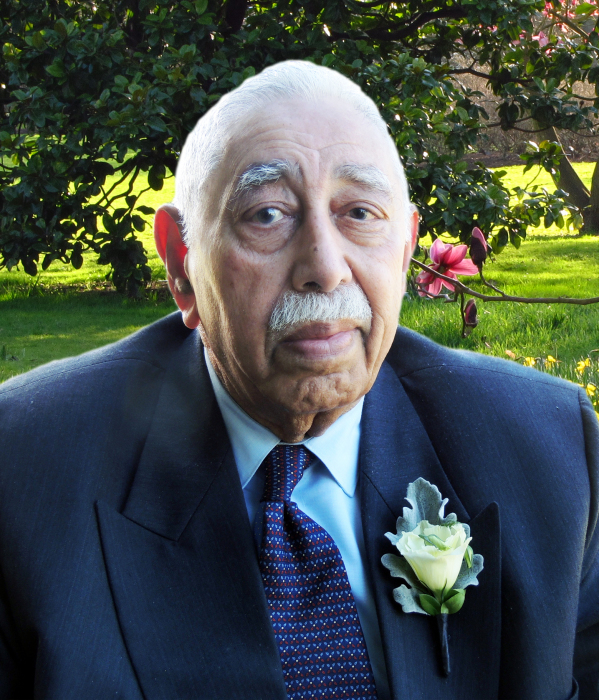 Valens “Val” Frank D'Silva passed away peacefully at home on March 30, 2019, at the age of 90 years. Beloved husband of Coral; loving father of Marion, Jason (Natasha), and Valens (Larissa); grandfather of Jewel, Isaac and Ava; brother of Victoria Gonsalves; brother-in-law of Yvonne D'Silva, Winston Caston, Daphne Caston and Brother Owen Caston, SJ. He was predeceased by his siblings (and their spouses), Hilda (Kevin), Rufus (Jenny), Lea (Ed), Damien, and sister-in-law Sister Marie Carmen, RJM. Val’s steadfast faith in God was the source of his quiet determination and courage. He was a man of few words whose kindness and generosity inspired and touched all those who knew him. If friends so desire, and in lieu of flowers, memorial tributes may be made in Val’s name directly to Priestly Fraternity of St. Peter (Canada) - 501, 53 Avenue SW Calgary, AB T2V 0C1 - Attention: Rev. Fr. John Shannon, FSSP (Indicate "For Seminarians" on the envelope).